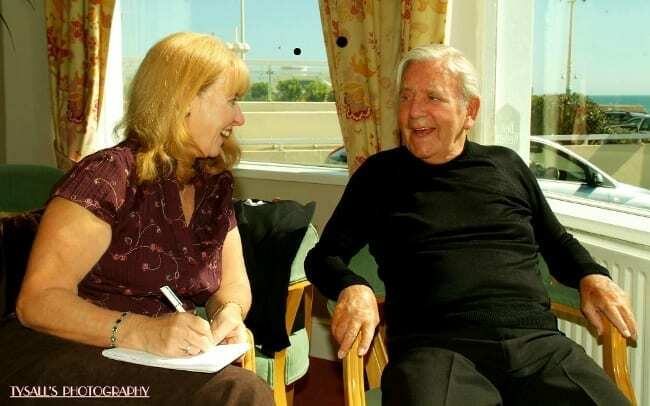 Home » Blog » Celebrities » Comments » Popular Articles » UK » CELEBRATING A LEGEND – Sir Norman Wisdom OBE. 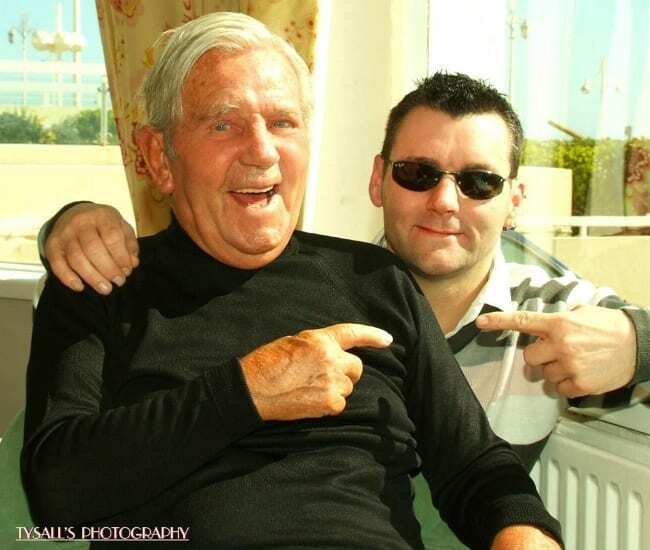 CELEBRATING A LEGEND – Sir Norman Wisdom OBE. Photos courtesy of Rob Tysall, Tysall’s Photography. He was a legend in British comedy. That little man on the big screen who won the hearts of millions. 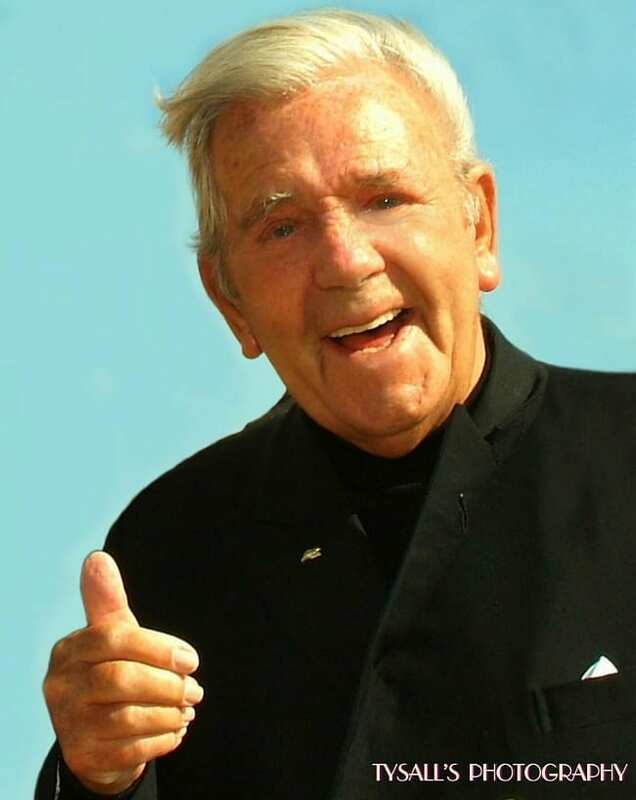 Sir Norman Wisdom OBE would have been 100 years old earlier this month. He was born on 4th February 1915 and died on 4th October 2010 aged 95 years. Four years before his death I was fortunate enough to be able to interview Norman and talk to him about his life and career – and to experience just what it’s like to be in the presence of such a wonderful and talented actor, comedian and singer-songwriter. 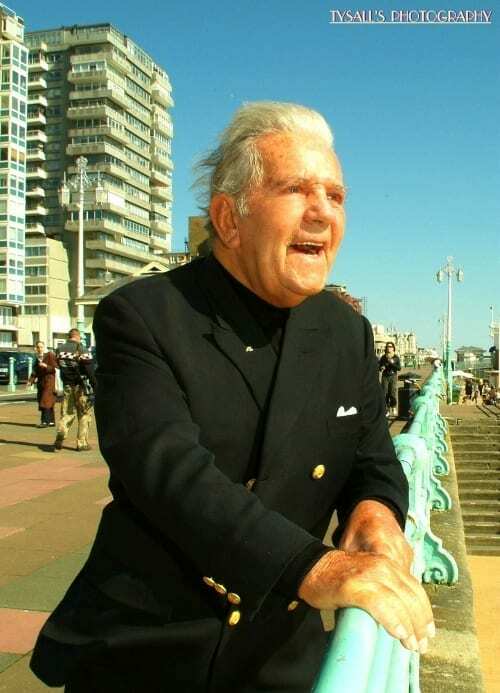 Even though Norman was aged 91 when my photographer, Rob Tysall and I drove from the Midlands down to Brighton – one of Norman’s favourite haunts, he was still looking good, and you would never have known he was a nonagenarian. It was the early days of the onset of vascuar Alzheimers and Norman was looking extremely smart and was full of fun, making people laugh and bringing happiness to everyone around. 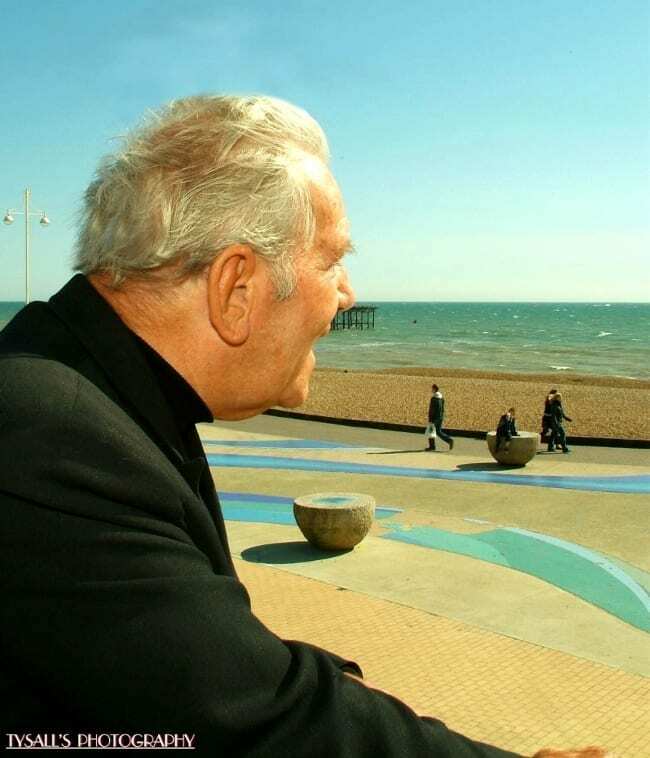 He explained that Brighton is always one of his favourite places to visit as he once lived just along the coast as did his children and grandchildren. 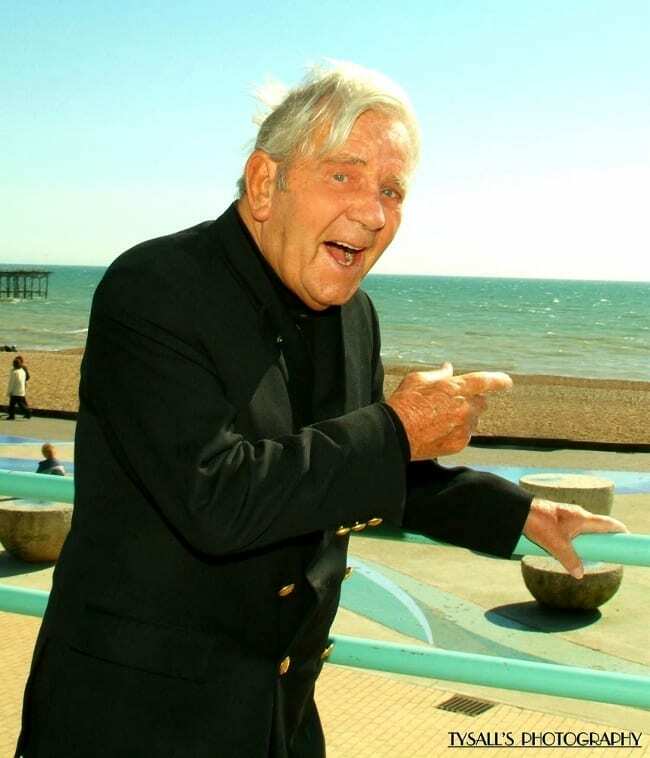 It was a special place too, because it was here at the Grand Theatre, Brighton, more than half a century ago, that after playing just his third gig that a well known showbiz agent, at the time – Billy Marsh, sought Norman out, and came looking to sign him up. The rest of course is history. We met up in a car park, and Norman was napping in the passenger seat. His driver was Steve Evans (no relation) who had been Norman’s chauffeur for sixteen years. We were introduced to Norman and driven to a hotel on the Brighton seafront, where we were to have coffee and a chat. Norman was supposedly retired, but was in fact still involved in various projects and doing lots of charity events, as he had been doing for more than 70 years. He chatted away as we were driven, and I could hardly believe I was actually talking to Norman Wisdom! 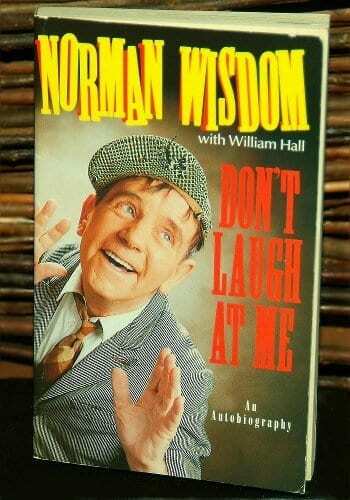 Who hadn’t heard of Norman Wisdom? Star of many, many films such as Trouble In Store, On The Beat and Press for Time as well as live theatre, such as the London Palladium and Royal Command Performances, plus dozens of TV shows, including Coronation Street and Last Of The Summer Wine. Of course he is most famous for playing the slapstick character, Norman Pitkin a hapless errand boy in a dozen comedy films of the 50s and 60s, where he was constantly getting into trouble with his boss, Mr Grimsdale. It was these films that brought him massive popularity in Communist Albania where they were the only films from the West that were allowed into the country. Arriving at the Brighton seafront, we parked on the promenade. Norman, smart in a navy blazer and slacks, and not a hint of his famous ‘gump suits’ – those ill-fitting suits and flat cap with a turned- up peak that he was renowned for, posed for Rob’s camera and instantly was surrounded by passers by, who were thrilled to bump into him. He signed autographs and chatted before we headed over to the hotel. As Norman led the way over the road, traffic came to a stop in both directions. I’d never seen such a reaction – everybody knows Norman, and instantly faces behind steering wheels were lit up with smiles. Still light on his feet, he deliberately did his famous stumble as we entered the hotel lounge, then sat down at a sunny table in the window looking out over the sea. Here he talked about his life and his career. “I’m a lucky little devil!” Norman said as a simple acknowledgement to his years of success. However, looking back on his childhood it was far from fortunate. He recalled how his parents split up when he was eight, leaving him and his older brother Fred to fend for themselves with an uncaring father. Often they slept rough on the streets, or with families who would quickly throw them out when they saw their father wasn’t paying for their keep. Whenever speaking of his brother Fred, there were tears in Norman’s eyes, as he referred to ‘my dear brother’. After only two months however, young Norman found himself shipped off to foreign shores, firstly to Lucknow India with the 10th Royal Hussars and then the Himalayas, and eventually his life in the army took him all over the world. At the same time he learned a whole range of musical instruments. “I learnt the drums, clarinet, saxophone, trumpet, French horn and piano,” said Norman – eyeing up the grand piano at the other end of the hotel lounge. And while we weren’t privileged to have him play for us, he did burst into song, firstly singing ‘Falling in Love’ (quite a lengthy song, and he remembered all the lyrics). And then to our absolute delight, he sang a few lines of his signature song – ‘Don’t Laugh At Me Because I’m A Fool’ to me. I can’t tell you how privileged I felt then and still do. Norman continued his story saying that whilst in the army, he joined the concert party and soon discovered that he could make people laugh by just playing the fool and falling over. “I used to pretend I was being knocked over by a horse, and they’d laugh,” recalled Norman, who also told of when he learnt to tap dance. He tap danced to his audience in army boots – and had them in stitches – even though that hadn’t been his intention! After coming out of the army in 1946, he was advised to go into show business, so Norman headed for the Collins Music Hall in Islington. Norman’s talents as a funny man quickly spread. 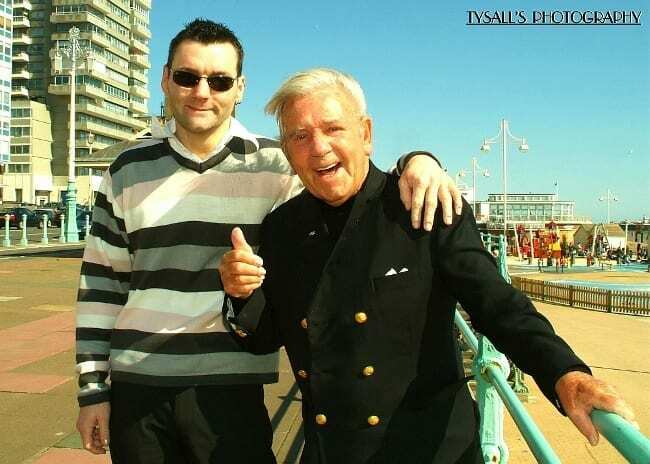 He was soon booked for his second performance in Portsmouth and a third at the Grand Theatre, Brighton where he was signed up with a top showbiz agent, and within a few short years, Norman was star billing at the London Palladium. Since then, he has entertained millions. He was awarded the OBE and Knighted by Her Majesty the Queen – and made her smile as he did his famous ‘stumble’ as he walked away. When our interview with Norman was over, it was all back into the car, and Steve dropped a very happy Rob and I back to our vehicle. Norman signed a photograph of himself to me, which I treasure. But more than anything it’s the memories of that day that I will never forget, and knowing how lucky I was to have met such a brilliantly talented and funny man – a true legend.